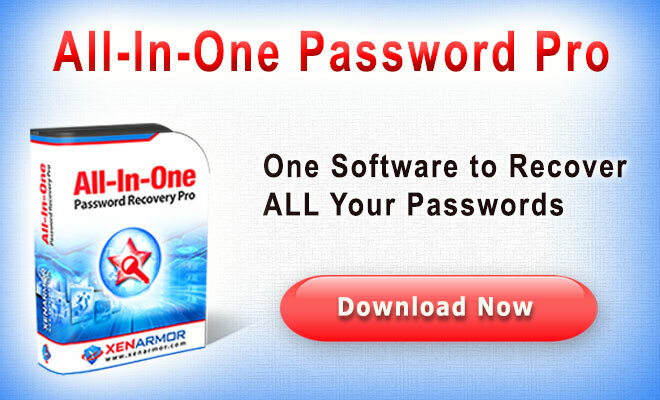 It helps in recovering or viewing web history from following browsers. 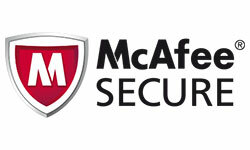 It automatically detects the right history database file based on the browser and current user configuration. You can also manually specify the different history file or Drag & Drop a file. This is useful when you have to recover the history from another system. You can export the recovered history list to HTML/XML/CSV file for offline analysis. Browser History Spy works on most of the Windows platforms starting from Windows XP to latest Windows 10 version. Easy to use tool with attractive GUI Interface. Automatically detect the history database file for particular browser and user. Option to manually specify the history file for Chrome/Firefox browsers. Add/Remove the history URLs from Internet Explorer. 'Sort Feature' to sort the history list based on URL, Title, Date etc. Save the recovered history list to HTML/XML/CSV file. Fully Portable - You can directly run it from any Windows system. Optional Installer for local installation/uninstallation on your system. BrowserHistorySpy comes with Installer so that you can install it locally on your system for regular usage. It has intuitive setup wizard (as shown in the screenshot below) which guides you through series of steps in completion of installation. 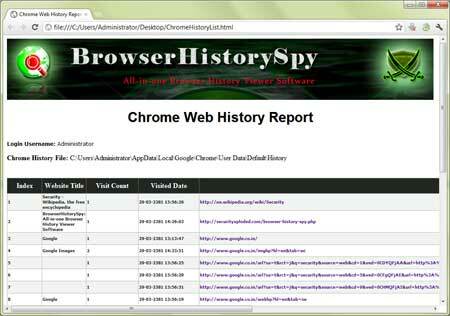 'Browser History Spy' is easy to use with its simple GUI interface. Now you can move to Firefox/Chrome/Internet Explorer tab to view the web history from respetive browser. By default it will automatically display current history file. If not, you can manually select the right history file for your browser. Now click on 'View History' and all the visited URLs from your browser will be displayed as shown in the screenshot below. To make it easier, you can click on List header to sort it by URL/Title/Visits/Date. Note: To view web history of Chrome SXS/CoolNovo/Flock/Opera Next Browser use Google Chrome Tab and for SeaMonkey/Comodo Dragon/Pale Moon browser use Firefox tab. 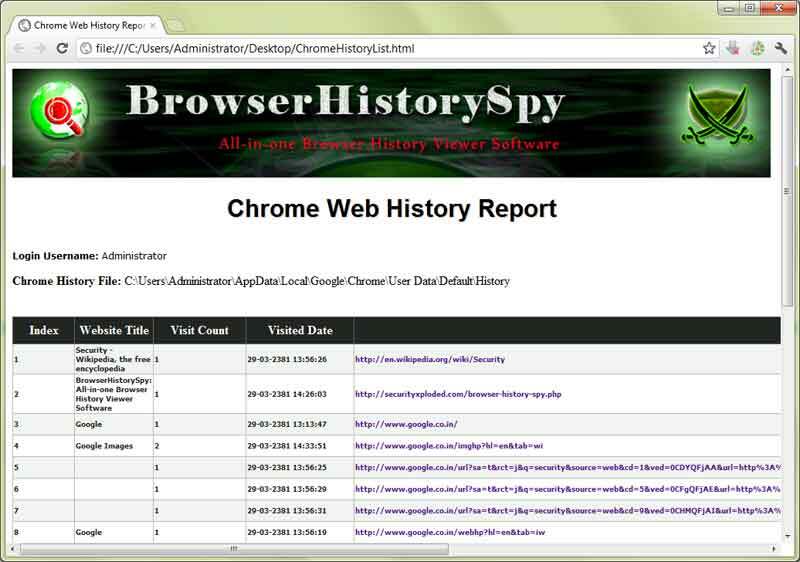 Screenshot 1:BrowserHistorySpy is showing the recovered history list from Firefox browser. Mega 2017 edition supporting browser history display on Windows 10. Inlcudes enhanced GUI interface, Automatic sort by date, improved Firefox profile detection & new Windows Installer. 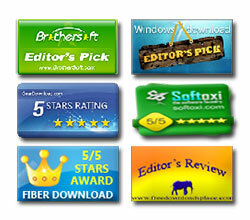 New feature added to Installer to dynamically download latest version. Also fixed minor bug in Chrome timestamp. Major version with support for displaying history from Opera Next, PaleMoon, Comodo Dragon & Flock web browsers. Fixed date/time display problem with Chrome history. New feature to generate web browser history report in CSV (Comma-Seperated Values) File Format. Now you can view Web History of SeaMonkey & CoolNovo browsers also. Support for Drag & Drop of history file. BrowserHistorySpy is the clean and simple tool to help you recover and view web browsing history from your local browsers. Like any tool its use either good or bad, depends upon the user who uses it. 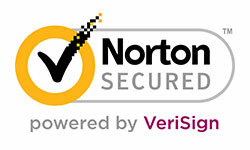 However Author or SecurityXploded is not responsible for any damage caused due to misuse of this tool.